Some of you might ask, “Why is Rod talking about Keto Diet when in fact there is really no need for him to lose weight?” Well, to be honest I also asked myself that last year when I was planning on familiarizing about Ketosis. Last December I realized that I’ve been eating nonstop from the holiday as if that was the happiest cheat day of the year. And then the next day, I want to go to the gym and lose that whole shiz. Actually, I started my diet 3 years ago when I told myself I wanted to get fit. When I say diet I meant to workout and get that toned and buffed physique. Somehow, I achieved half of that goal because I saw the transformation myself but I forgot one thing. I was not eating the right food. I was able to tone other parts of my body but, I never met my 6-pack abs. And that is indeed a fitgoal frustration from my end. Below is an image that would look better should I photo-shopped an abs there. My routine was gym-eat-gym-eat on a very irregular basis. And then I decided, I want to get serious about eating the right ones. So I searched about mass proteins, proper diet during exercise and Ketogenic. That year I wanted to try something new. I wanted to experiment. According to a blog intended about Ketogenic Diet, Ketosis is simply a normal metabolic pathway in which body and brain cells utilize ketones to make energy, instead of relying on only sugar (i.e., carbohydrate). In fact, humans developed an evolutionary ability to burn ketones as an adaptation to periods of time when food was unavailable, and being in nutritional ketosis is a beneficial body state. 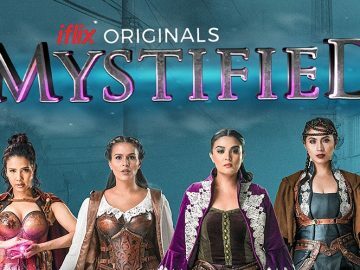 Last November, I caught an episode on a local TV about it. May I interest you to a simple explanation about Ketogenic Diet. My friend mentioned about Ketogenic and a diet delivery that has a Ketogenic program he tried. That is when I met Fitfood Manila. A food delivery service which focuses on measuring calories and other dietary intake per serving. 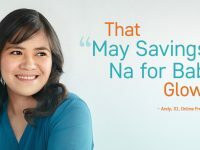 During the time I set aside budget for my groceries to prepare for what I call “Borta” meals. 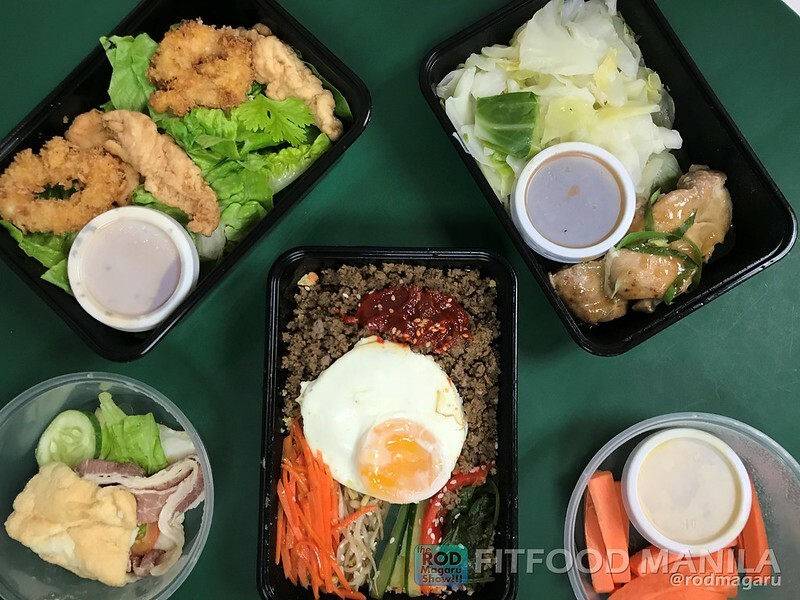 But since I am lazy preparing my own meal, I gave Fitfood Manila a try. 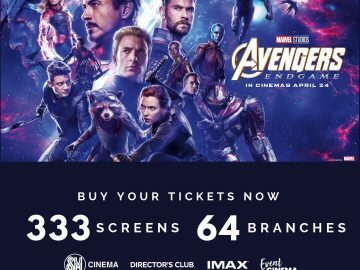 Actually, they have other programs every week. 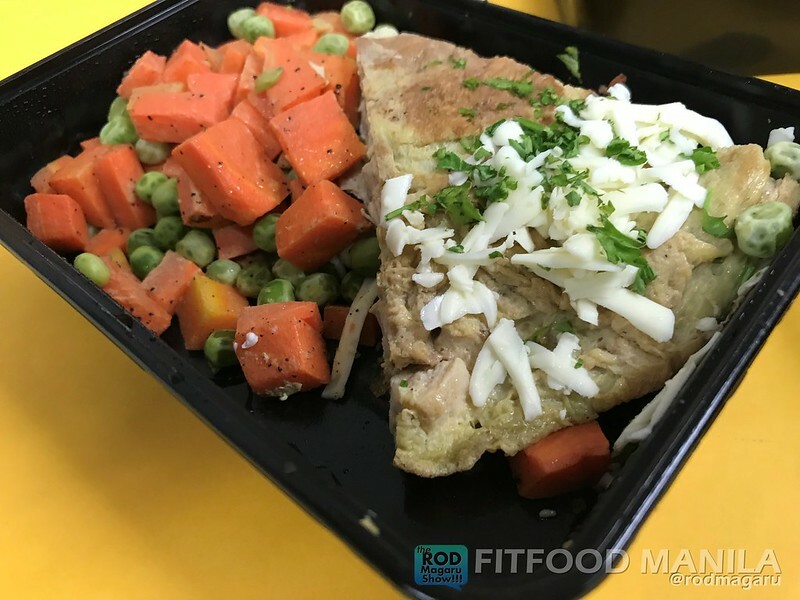 Aside from the Keto which is low in carbs but high in fat meals, they also have the “low carb, low sugar, high protein, and high fiber meals” as well as “low fat and low sodium meals” as known as Fit Heart weekly plan. Based on how I have learned about it, Keto is 60-75% of calories from fat, 15-30% of calories from protein and 5-10% of calories from carbs. I told myself well, that is still, a big meal for me. 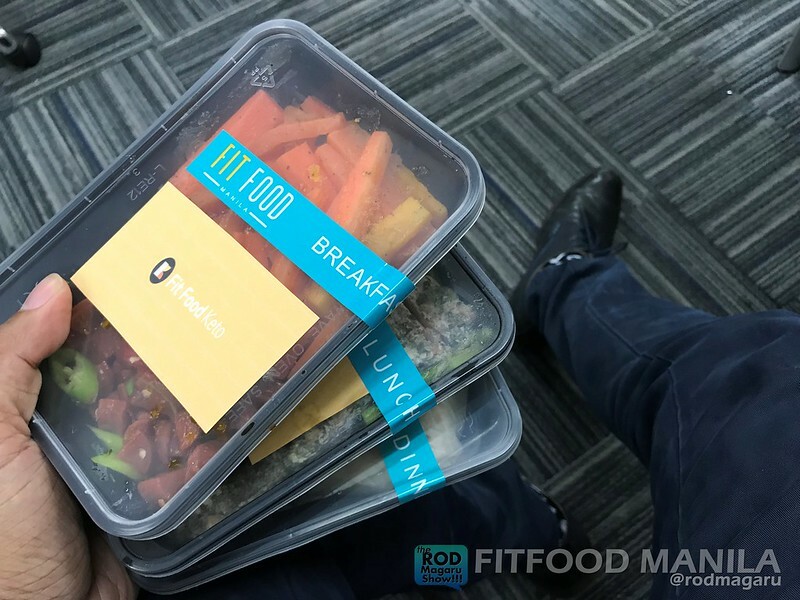 I tried Fitfood for two straight weeks. Okay let me give you at least the first five days of what they prepared for the Keto Program. I tried it because as per the Ketogenic diet plan, it requires tracking the amount of the carbohydrates and reducing carb intake to about 20-60 grams per day. Something I need to monitor for myself. For some people, less than 100 grams per day may work, but this level of carb intake is too high for most people to achieve ketosis. Here are the meals. DAY 1 – During breakfast, I got Sizzling Chicken sausage ala Diablo with Stir fry carrots. Then creamy Pesto Fish Fillet on Oven Roasted Asparagus and during dinner, a carb-free Barbecue pulled pork wrap with mixed veggies. In between those meals I have celery and cream cheese and Baked egg cups. I am surprised that carrots can be enjoyed like this, I mean they found a way for me to like it. I am usually not a fan of carrots and their asparagus is delicious enough for me to appreciate greens on day 1. DAY 2 – The next day I got Garlic Chicken Omelet with Extra Cheese and Buttered Mixed Veggies; Lunch – Garlic Lemon Chicken Roast on Garlic Butter Mashed Cauliflower; Dinner is Carb Free Arrabiata Pasta with Extra Bacon. I know I missed rice on second day but with Mashed cauliflower during lunch and bacon on my dinner, I survived and enjoyed my meals. 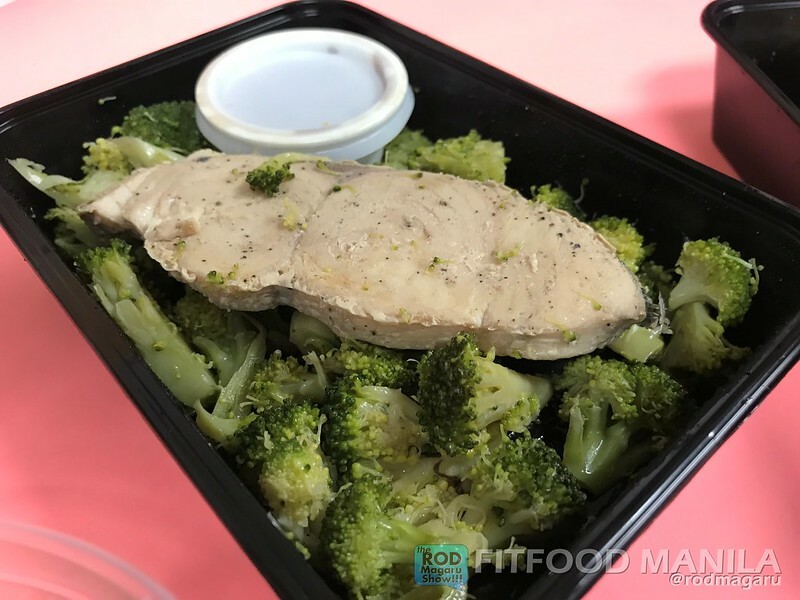 DAY 3 – Breakfast – Carb Free Hungarian Sausage, Spinach and Mozzarella Cheese Sandwich; Lunch – Grilled Chicken on Mushroom Gravy with Garlic Cauli Rice; Dinner – Keto Grilled Black Pepper Fish on Sesame Broccoli. Morning and afternoon snacks were Cajun Pork Rinds and Hard Boiled Egg respectively. I started to love how they replaced my white rice. I welcome this Cauli rice with an open heart. Fitfood knows what they’re really doing and I am loving it. DAY 4 .The next day, I did not review the meals because I wanted to be surprised with what to arrive. 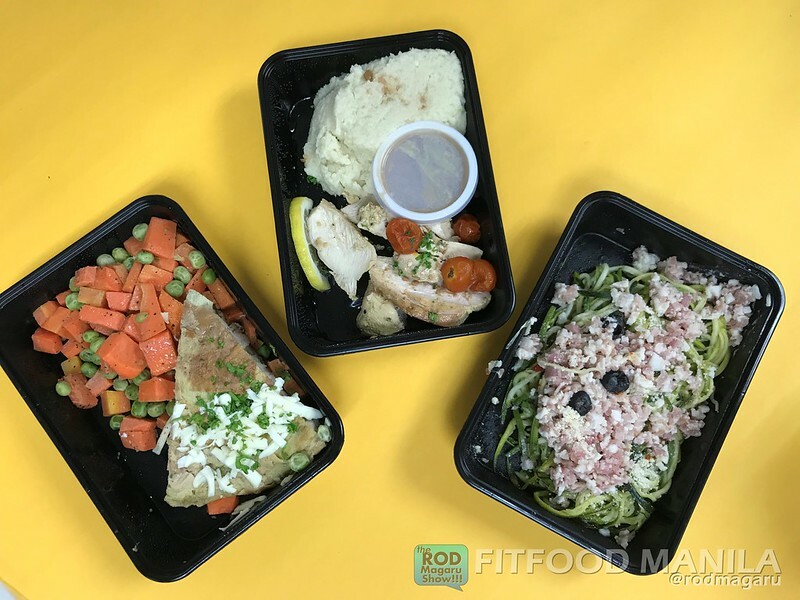 O by the way, Fitfood Manila deliver meals every night for the next day meal plan. I kind of prefer this because I don’t want to wake up early just to receive my food so delivery at night is okay for me. 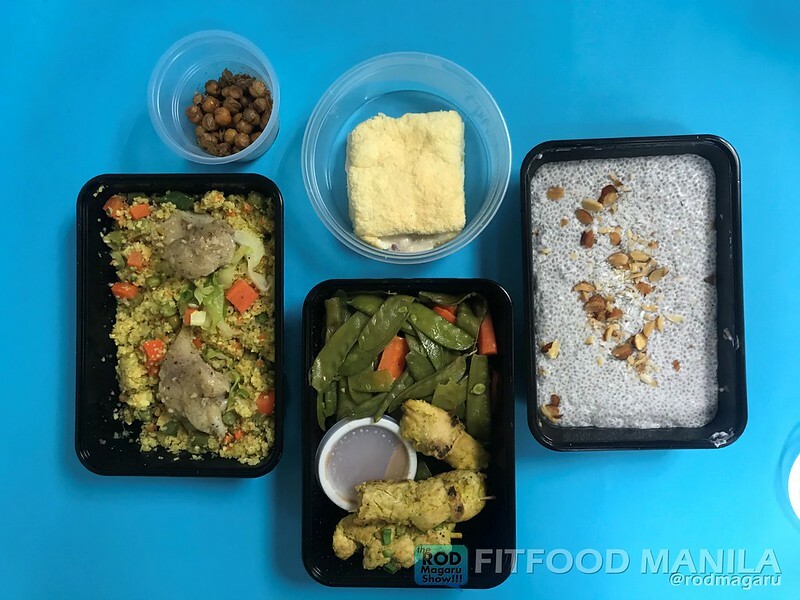 Anyway, here is what I received the night before: Breakfast – Coconut Chia Pudding topped with Coco Flakes and Chopped Almond; Lunch – Chicken Satay with Peanut Sauce on Mixed Vegetables; Dinner – Indian Style Keto Fish and Veggie Curry Fried Cauli Rice Bowl. Morning and afternoon snacks are roasted chickpeas and Keto Tuna Sandwich. Again, Cauli rice is winning! DAY 5 – Breakfast – Crispy Seafood Salad with Thai Vinaigrette dressing; Lunch – Korean Keto Cauli Rice Bibimbap; Dinner – Grilled Chicken Thigh with Peking duck Sauce on Braised cabbage. Morning and afternoon snacks were carrot sticks with Hummus and Carb Free mini BLT. I can share you the entire fourteen days of my experience but the above basically sums up my healthy meal everyday. The daily meal provides me fat to use as energy to my busy days at work. Also during this week, I got to improved my water intake so I didn’t really get hungry. It is technically replacing all my fast food favorites to a healthy one. Compare to other diet plans, I think Keto is okay as well for those who don’t want to deprive themselves from having what they used to eat. Low-fat and calorie controlled diets are not sustainable. They just make you hungry and irritable. Not me. I love their servings! According to those who tried Keto in the past, the most common side effect is Keto Flu. Good thing I didn’t have this because I intentionally increased my water intake when I started. If you are going to ask me if you I will recommend Keto diet, my answer is yes. Because you need to try it for yourself because what can be said about it might work for me, it may not work for others too. So it is very important to seek an advise from your doctor about major diet or lifestyle changes. 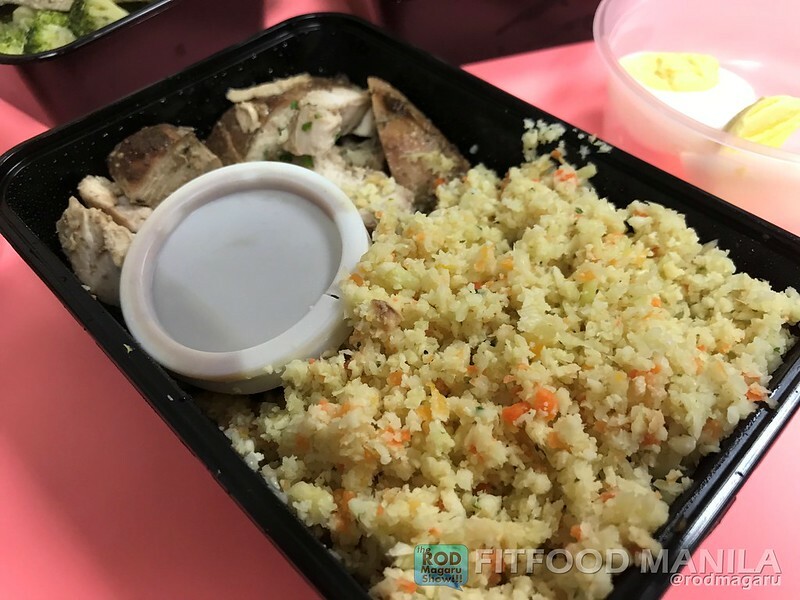 My new favorite from Fitfood Manila, Cauli Rice. FATS: Olive Oil, Grass-Fed Butter, Heavy Whipping Cream, Avocado or Avocado Oil, Coconut Oil, Nuts and Full Fat Cheese. PROTEIN: Salmon, Chicken, Turkey, Beef, Tuna, Sardines, Eggs, Bacon. From this experiment, I personally like how they serve and pack fish. And how they made me fall in love again with carrots and broccoli. 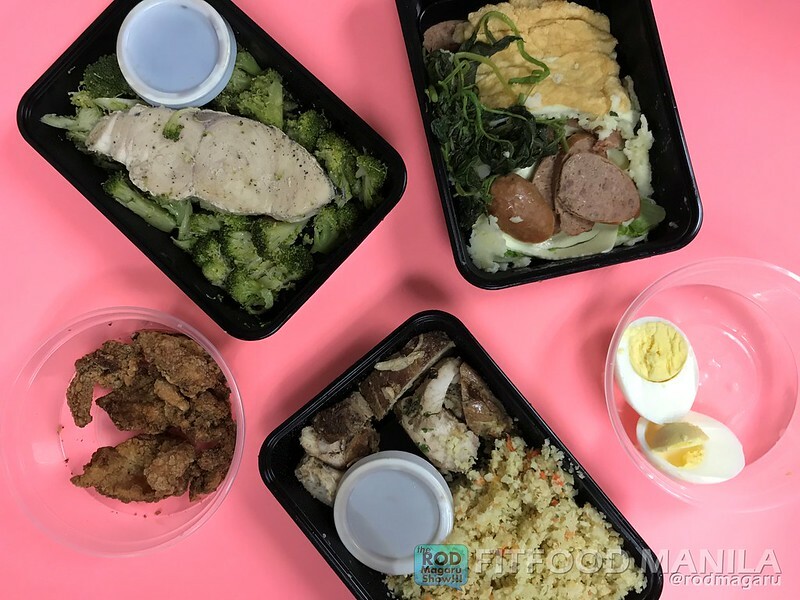 I am glad that subscribing to Ketogenic diet plan from Fitfood Manila paved the way for me to remember the kind of food I need to eat, especially now that my goal is to fully meet my 6-pack abs. Also, my colleagues at work started to subscribe and order from Fitfood because they noticed how I enjoyed and planned my food everyday.They are now trying these as well. 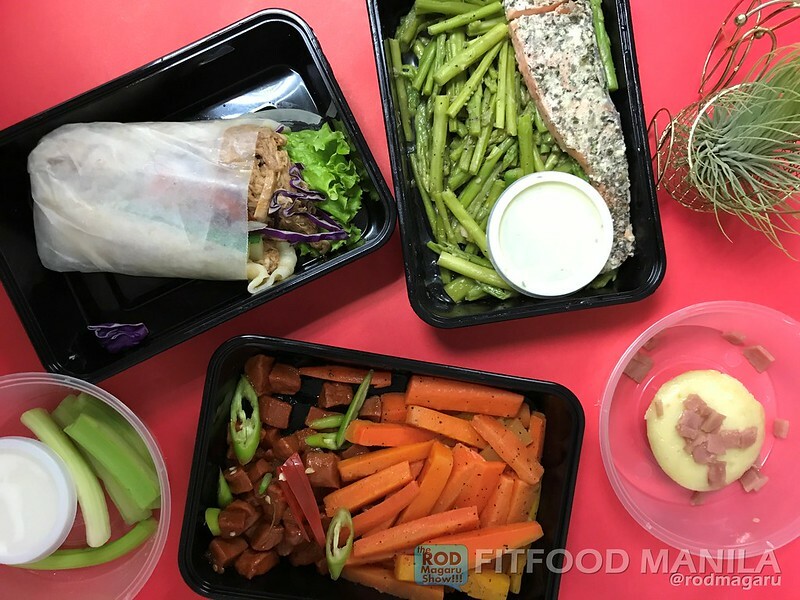 Here is Jossen, Darlene, May and Judi happy with their well planned week from Fitfood. For me, I am ready for my bulking program from my coach. 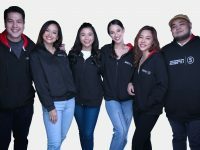 For more information about Fitfood Manila, you can visit their instagram account at @fitfoodmanila; check their facebook account at FB FITFOOD MANILA. I enjoyed reading your story, of why and how you started on Keto diet. I find it interesting and inspiring. Thank you for the tips also.